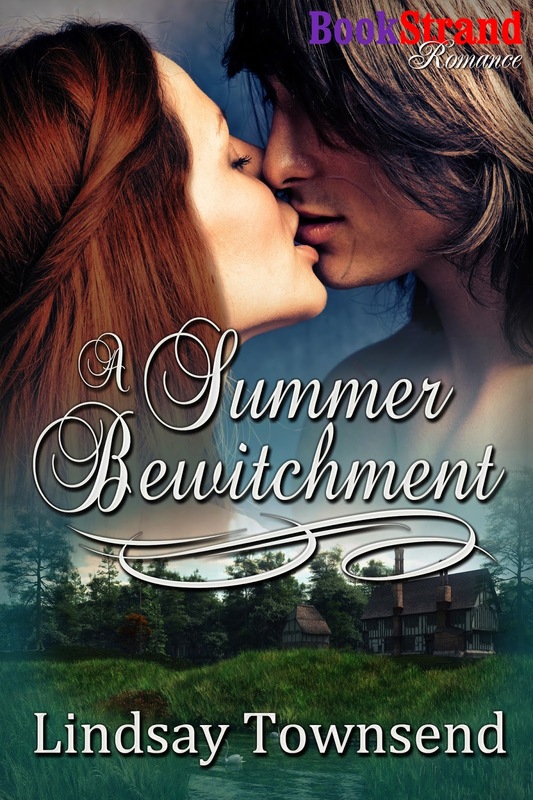 A Summer Bewitchment, my sequel to The Snow Bride, begins as the witch Elfrida and disfigured knight Magnus are seeking desperately for kidnapped, missing girls. They wish to rescue all of them, whereas the nobility, represented by Lady Astrid and Tancred, are concerned with recovering only one. That afternoon, while Lady Astrid dined in the great hall, Elfrida sought out the squire Baldwin. He had been with her and Magnus the previous winter, during their dangerous search for her sister Christina and the other missing brides. He knew she had magic. A tall, slim young man who enjoyed his food, Baldwin listened closely to her request. Too courtly to pull a face, he nonetheless made his feelings clear. “To ride with you now to Warren Bruer? Why, my lady?” He did not say them, but the words our lord will not like it also hovered on his lips. “It is necessary. I sense my lord has need of me.” She did not want to say more or admit to the storm cloud that seemed to have coiled itself in the middle of her chest. This is not my seething disappointment. It is Magnus’s, poor love. “Our lord needs me, Pie,” she repeated, giving Baldwin the nickname she had made for him the previous winter. Baldwin studied her a moment longer, drawing his brows together, then smiled, revealing the chipped tooth Elfrida found endearing. And pray we reach the place before whatever is troubling Magnus bursts like a pricked boil. Bundled in his cloak, with his saddle cloth as pallet and pillow, the girl slept, curled over like a fern frond. Magnus was glad to see her at peace but felt sick at heart. She had screamed herself hoarse when first spotting him, shrieked herself into utter helpless weariness before fleeing into sleep. She was a redhead, too, which scraped his sense of shame even more rawly. He wanted to blame Tancred for cantering on ahead and hauling the girl to her feet to face him before any had troubled to tell her that he was maimed. He longed to rage at Mark, who had discovered her cowering in a thicket and done such a poor job of soothing her. Most of all he wanted to be veiled like an eastern woman. Then he would not have inflicted his ruined, bestial looks on this terrified, confused lass. Is she even one of the kidnapped girls? Tancred seems convinced of it, but we have no proof. We do not even have her name. How did she come here? Where did she escape from? Questioning his second in command, he learned that Mark had come upon the girl without any warning, when the dogs had discovered her in the thicket and barked. The child would not or could not say how she had got there. Magnus did what he could. He ordered Mark to set the hounds tracking again, using the girl’s scent. Tancred he sent off with another two of his men to the hamlets and villages, taking a lock of the girl’s red hair. He had made Tancred repeat to him what the girl looked like—small, slim, about fourteen, freckles, red hair, blue eyes—until he was certain the lad would remember. Bad enough for the parents of these missing girls to have their hopes raised by a poor description. His men also knew what the lass looked like, and they would be tactful in speaking to the people. Perhaps I should have kept Tancred with me, but he would keep jabbing the girl, wanting her to wake. The boy was anxious for his young kinswoman, well enough, but he seemed to think this harried, unconscious girl had no right to any finer feelings. “She is a peasant,” he answered, thrusting out his lower lip, when Magnus had warned him to go gently. Was I ever such a thickheaded one as Tancred? Giving orders, searching where the girl had first been found, those tasks he was glad to do. Returning to the stony roadway that skirted the little wood, Magnus spotted a new cartwheel groove in a seam of mud, but the cart or carriage had long vanished. Had she escaped from the cart? He could not tell. Rising awkwardly from his crouch, Magnus turned on the road to check on his reluctant sleeper. The man guarding her nodded to him as she dozed still beneath the spreading branches of an oak tree. As he watched her, the flashing gilts of her hair pierced him. His heart ached and his missing foot hurt as he tried to recall what he should do next. The worst of it was that he wanted Elfrida here. His caring, fighting warrior of magic was so much better than him at consoling the shy and suffering. He imagined her running along the road to meet him. Both would be united, striving, understanding each other, giving aid to one another. He heard a drumming of hooves and guessed it was one of his men from the lack of shouts or challenges. Farther along the rutted road, into a faint shimmer of heat, pounded a gray horse with lanky Baldwin as rider. “To me!” Magnus shouted, before he realized that his squire was galloping toward him anyway—and not just Baldwin. Peeping from behind Baldwin’s back, her face clenched in concentration as she gripped the squire’s middle and clung on, was his Elfrida. Impossibly, she had known he needed her. She had known and come. She comes for me. Shame of his earlier fears concerning his wife, riding, and pregnancy scorched through him. Magnus started, then began to run toward her. With every sprinting, skidding step, his heart expanded. She waved at him, her veil flapping like a sail, her long hair gleaming like flames, her mouth busy with an inevitable apology. She smiles her love at me even as she calls sorry. She thinks I may be angry, the foolish, brave little wretch. He caught her as Baldwin reined in and before she tumbled from the horse. I am so very glad she is here but why has she come? What news is she bringing?